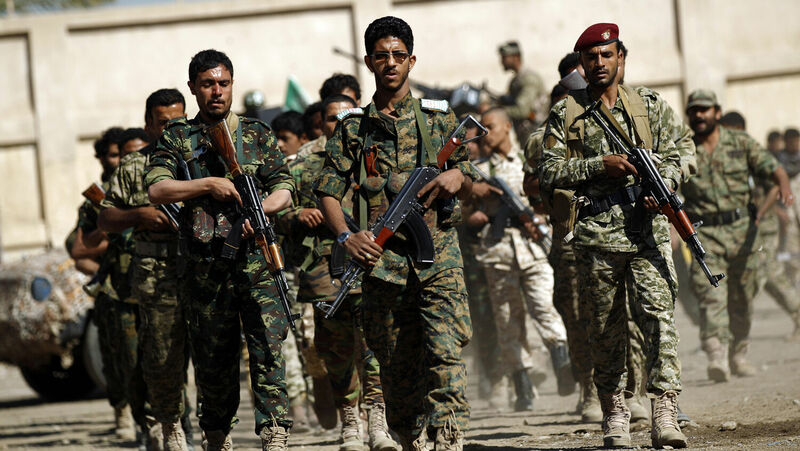 Evidence is piling up that Iran is directly behind the Houthi rebellion in Yemen. A senior Iranian official said Maj. Gen. Qassem Suleimani, commander of the Quds Force—the external arm of the Islamic Revolutionary Guard Corps—met top irgc officials in Tehran last month to look at ways to “empower” the Houthis. “The Houthi takeover in Yemen proves that Iran is implementing a bold strategy to control the vital sea-lane from the Indian Ocean to the Mediterranean Sea,” he wrote. September 2009: Yemeni security forces uncover six weapons caches belonging to the Houthis that contain short-range missiles and light machine guns made in Iran. October 2010: The Yemeni Navy seizes an Iranian ship in the Red Sea loaded with antitank weapons, destined for a port in northwest Yemen. The six crew members were weapons experts. March 2012: “Iranian smugglers backed by the Quds Force, an elite international operations unit within Iran’s Islamic Revolutionary Guard Corps, are using small boats to ship AK-47s, rocket-propelled grenades and other arms to replace older weapons used by the rebels, according to American officials” (New York Times, March 15, 2012). March 2015: Quds Force Deputy Cmdr. Esmail Qaani says that the Quds Force evacuated 52 of its wounded operatives from Yemen to Tehran for treatment. According to European diplomatic sources, by that point, 3,000 Houthi fighters had been flown to Tehran, then Beirut, then transported into Syria to receive training from the irgc. April 2015: U.S. Naval Forces Central Command Vice Adm. Kevin Donegan confirms that the U.S. Navy intercepted seven ships guarded by the irgc navy. Inside the vessels were Iranian cruise missiles, explosive drone boats and other weapons. October 2016: Vice Admiral Donegan confirms that between April 2015 and October 2016 four other ships with weapons from Iran to the Houthis were intercepted by American, French and Australian navies. Weapons included long-range ballistic missiles capable of reaching deep into Saudi Arabia. Senior U.S. administration officials also confirm that Iran is sending weapons via the overland route through Oman to the Houthis.